In the 1980s EFER ENDOSCOPY and Doctor Jean Francois Dumon, the French pioneer in interventional bronchoscopy and video imaging, developed an original modular bronchoscope. This was followed by associated instruments designed to place the tracheobronchial silicone stents he had also just invented. 25 years later, physicians and endoscopic manufacturers alike still endeavor to improve upon this group of original and innovative concepts. 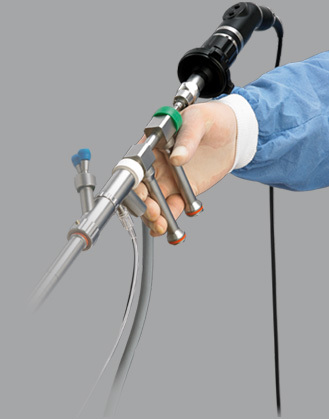 After producing several thousand units of the original BRONCHOSCOPE EFER-DUMON and associated stent placement instrumentation, EFER ENDOSCOPY expanded its product line by developing a large range of tracheobronchial stents, an original forceps line, and video imaging equipment for educational purposes. 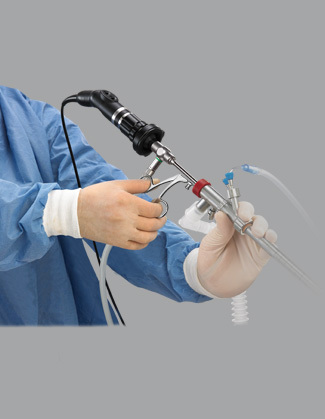 Users of the BRONCHOSCOPE EFER-DUMON now benefit from having a coherent range of complementary products, all designed and manufactured by the same company with over 25 years of experience in therapeutic bronchoscopy.